If you’re concerned about BPA, otherwise known as Bisphenol A, you are probably wondering how you can avoid exposing your baby to the risks possibly associated with it. If you aren’t aware, BPA is a chemical that used to be commonly found in plastics used in food and drink-related containers and other items. This unfortunately includes things like plastic baby bottles and parts found in breast pumps. Recently, there have been studies that have raised concerns that BPA might be a harmful chemical to expose people—especially babies—to, which has obviously left many parents concerned about it. While there is no concrete proof that BPA is harmful to humans, some tests by the National Toxicology Program (NTP), the National Institutes of Health, as well as the Food & Drug Administration (FDA) have shown that there could be potential issues that could arise due to over exposure of this chemical. 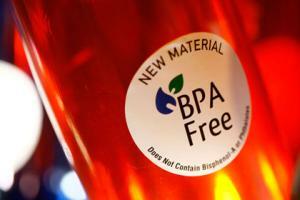 Fortunately, it’s very possible these days to avoid exposing your baby to anything with BPA. This guide will tell you exactly how to do so, and it’s actually very easy. First of all, you will be glad to know that most manufacturers have stopped using BPA in their plastic baby bottles and breast pumps. If the manufacturer has done so, they will likely feature a “BPA-free certification” somewhere on the packaging to let consumers know that it’s BPA-free. You might also consider switching completely over to glass baby bottles. Glass bottles are manufactured in a completely different way than plastic, and have absolutely no chemicals at all, let alone BPA. Glass bottles are often the best baby bottles to use, because you can be sure that these are completely safe to use. Unfortunately, it’s very possible that you have existing plastic bottles or other items around the house. Just because you are sure your baby bottles are BPA-free, it doesn’t mean you don’t have other items around the house that have BPA, as it was a very common thing only a few years ago. Go through your cupboards and take out anything made of plastic. If you have any food containers that are made of plastic and more than a few years old, consider disposing of them and replacing them with newer plastic containers that are certified BPA-free, or better yet, switch to glass or pyrex. The EWG says that up to 97% of canned foods have liners that can leak BPA into the food, and both pregnant women and children should avoid eating any canned foods. Unfortunately, this also applies to liquid baby formula that comes in cans, which should also be avoided: always go for powdered baby formula to minimize exposure to the chemical. Also be aware of anything else your child might put in their mouth — not just baby bottles. This might include things like sippy cups, bottled water, teethers or plastic spoons. All of these things are known to have BPA in them, so make sure that yours don’t. If they do, get rid of them and find some that are BPA-free. The book Spit That Out! by Paige Wolf suggests looking for recycling numbers 1, 2, 4 and 5 on plastic goods, which are the least problematic when it comes to BPA. On the other hand, numbers 3, 6 and 7 are to be avoided as they are likely using BPA. There is no conclusive proof that BPA is harmful to children, but it’s understandable why parents would want to avoid the potential risk. However, you don’t have to go crazy over it. I would strongly recommend taking the above advice into consideration, but don’t drive yourself crazy trying to get rid of every minute source of BPA in your house. It’s good to be cautious, but going overboard with worry is only going to drive you crazy!